Should I Sell My House to a We Buy Houses Investor? As you have driven around your neighborhood you’ve probably seen the signs; “We buy houses cash”. Most of us just ignore these signs while others pull them down. Unfortunately, this spamming of neighborhoods just seems to confirm our existing misconceptions about real estate investors. 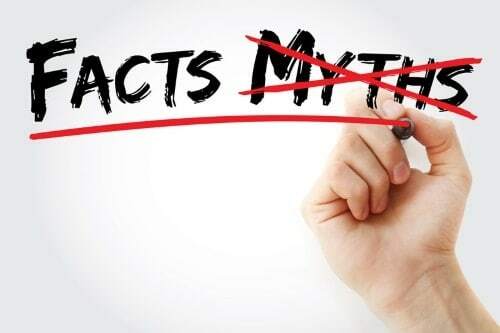 Here are four common myths about real estate investors. Most cash buyers are legitimate business people who happen to buy and sell real estate. Like any group of people there will be those who are experience and professional, and there will be those who just took a seminar last weekend. Unfortunately, it’s the latter group that have given the legitimate cash buyers a bad rap. They litter your neighborhood with “We Buy Houses” signs and then almost as quickly as they appeared, they disappear. If you are considering a cash buyer, make sure you are dealing with one who won’t disappear. It’s important to know that when it comes time to close, they’ll be there with the money and not leaving you hanging. Be sure to check their references too. People who have sold properties to them before are best. Anyone with experience has former clients, business partners or real estate agents who can confirm your prospective buyer’s integrity. Most real estate escrows are 30 to 45 days so that the buyers’ can do their inspections and get loan approval. A professional title company can process escrow very quickly, and 7-10 days is typically not a problem. If the buyer and seller stay in communication with the title company, closing in 10 days is very reasonable. If the seller needs more than 10 days then the buyer and seller can agree to a closing date. It’s even possible to arrange for the seller to rent back home for a period of time. If your house is completely updated and doesn’t need any repairs, you will be better off selling through a Realtor. If your house’s kitchen or bathrooms are outdated, your Realtor will probably list the property for less than other higher priced homes. This will also reduce the amount of money you will make. In addition, if your house needs repairs or your potential buyers’ home inspector says it needs repairs, you will have to adjust accordingly. Consider if you have to spend $15,000 to repair a deck or update a kitchen, then you’ll either end up having to discount your price or do the repairs yourself. If you discount the price, you will still have to pay the real estate agent’s commission. This is typically 5-6% and split between the agents involved. If your house needs repairs, you may be better off selling directly to a cash buyer and save paying commission fees. Investors typically have a formula that estimates what they could sell your house for fixed up, vacant and through a Realtor. Then they back off the cost of repairs, the costs of selling the property through a Realtor and any escrow costs. For their effort, they will also add in a small profit. This process is similar to trading in your car to a car dealership. They estimate what they can sell the car for, back off any repairs and a small profit. The final number is their offer price. The great thing about cash investors is that they will buy your house in any condition. Typically cash buyers are looking for houses that need repairs because this is where they can do the repairs cheaper than most people. This can save you the hassle of dealing with contractors and the expense of costly repairs. Since their offer is formula driven, the level of repairs needed usually drives the price they are willing to offer. An experienced cash buyer will be able to quickly estimate the cost of repairs and give you an offer based on what it will cost them to repair.